CEPI welcomes an announcement by Spain that it intends to improve legal certainty for property owners along the Spanish coast who have been affected by the Coastal Law of 1998 (Ley de Costas). Many of those who have been concerned by the way this law has been applied are citizens of other EU countries who have bought property in Spain. Legal certainty is of vital importance to all property transactions, and especially for those citizens who are moving cross-border. CEPI notes with satisfaction that on 3 August EU Justice Commissioner Viviane Reding also welcome this announcement. The European Commission is so expressing, once again, direct inetrest in a national real estate market. The Coastal Law aims to protect local habitats by designating an area along the entire coastline as a public domain. However a large number of complaints have been raised with the European Commission and also the European Parliament’s Petition Committee by homeowners claiming that their rights to property within the area have been breached. 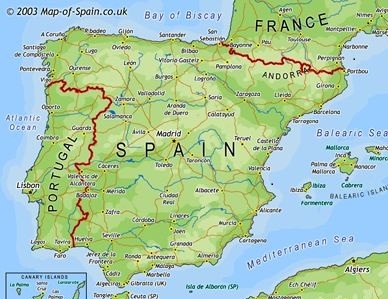 Spain is home to around 2.3 million citizens from other EU countries, representing 5% of the population. The Spanish government is proposing to reform the law by extending the period of the existing concession to enjoy possession of properties built in the protected zone from 30 years to 75 years. The draft law adopted on 13 July would also introduce the possibility to sell this interest in the property (subject to prior authorisation) and to renovate the buildings situated in the zone. The public administration will be obliged to register the definitive and provisional demarcation of the zone in the property register, so that property purchasers will be better informed. A summary of the proposal is available at http://www.magrama.gob.es/en/costas/temas/anteproyecto.aspx . Citizens are able to comment on the draft by sending an email to informacionmma@magrama.es .